Crime victims were at the Capitol last week lobbying legislators to pass the DNA databank expansion bill. 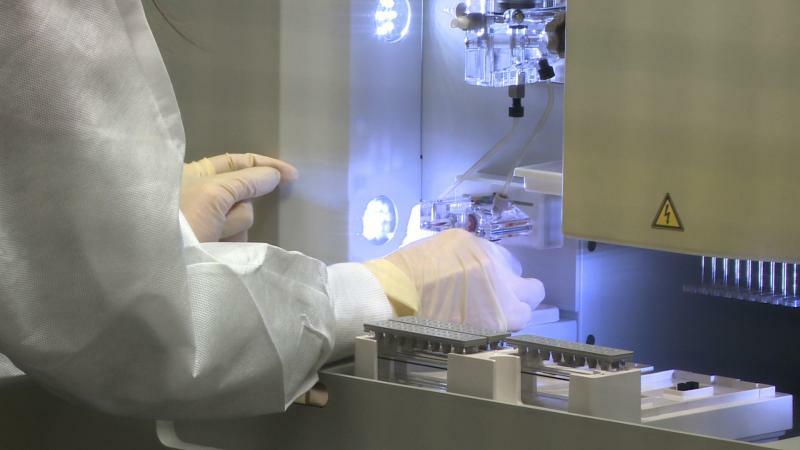 In a flurry of late night (and early morning) activity, lawmakers in Albany passed a bill that will bring about a major expansion to New York's DNA databank. The new legislation covers all state felonies, and penal law misdemeanors. It requires people convicted of everything from animal cruelty to felony D.W.I., to turn over a DNA saliva sample. It's expected to add 46,000 people a year to the DNA databank, which is housed at the State Police Forensic Investigation Center in Albany. Governor Andrew Cuomo made the DNA bill one of his top priorities for the year, and he's had broad support from district attorneys, law enforcement, and victims' advocacy groups. Supporters have argued that DNA not only helps solve crimes, but it can exonerate the innocent, and even prevent crime - since serious offenders often start out small. The final version of the bill was a compromise with Assembly Democrats, who have echoed the concerns of the defense community: that defendants need access to DNA evidence to prove their innocence. The bill contains provisions to allow defendants to petition a judge to compel the prosecution to turn over evidence which could clear them. The legislation does not include other measures against wrongful convictions sought by the defense lawyers - like mandatory videotaping of police interrogations, or changes to the way lineups are conducted. Since the databank was established in the mid-1990s, it's helped convict more than 2,000 people. During the same time period, only 27 people in the state have been exonerated with DNA evidence, and according to The Innocence Project, only one of those exonerations was due to the databank. The New York Civil Liberties Union (NYCLU) has criticized the DNA databank expansion legislation, arguing that labs across the state lack sufficient oversight. The NYCLU has also raised concerns about the use of "partial-match searching" on privacy grounds. Partial-match searching has been used to investigate family members of an offender in the databank, when the DNA sample from a crime scene is very similar to that offender, but not a perfect match. Several members of the Commission on Forensic Science, the body charged with lab oversight in New York, have also publicly criticized the commission and its ability to oversee DNA labs. Additionally, even people who work at the State Police Forensic Investigation Center and routinely use the DNA databank to solve crimes, have said that TV crime dramas have misinformed the public about how forensic science actually works, which increases their workload, and makes their job harder. Both prosecutors and defense attorneys agree that having more DNA can help solve more crimes. But not everyone agrees the bill does enough to ensure justice. A bill currently making its way through the legislature would require more people convicted of crimes to submit samples of their DNA to the state's DNA databank. That means the cutting-edge forensic science could be used to solve more crimes. The bill passed the State Senate in January, and Governor Cuomo has called on the Assembly to do the same. Even celebrities, like Law & Order SVU's Mariska Hargitay have voiced support for the legislation. But people who work in the criminal justice system say TV crime dramas are increasingly influencing juries, and giving people the wrong ideas about how forensic science actually works. In our latest Innovation Trail report for New York NOW, we looked into a new bill to expand the state's DNA databank. Prosecutors say adding DNA from more convicted offenders to the databank helps the police solve more crimes. They call it a "sword and a shield:" convict the guilty and exonerate the innocent. So why would a man who was exonerated of murder with DNA evidence after spending close to 20 years in prison say the bill falls short? See this week's full episode of New York NOW.